Competencies help companies to develop and advance - but not all companies make the best use of the potential that their employees can offer them. Small and medium sized companies in particular lack the time and funds to make an inventory of their employees' potentials. This is where the competency profile comes in, which can make the whole range of employees' available skills transparent as well as their needs for further education. 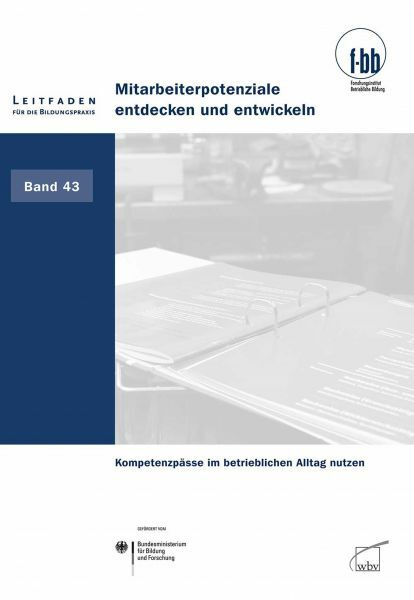 The guide gives an overview of the different types of competency profiles and their uses. A timeline, checklists and other aids are included to support HR staff in their decisions for a competency profile, and give practical advice on their implementation in the company. Katharina Kucher und Frank Wehinger sind wissenschaftliche Mitarbeiter am Forschungsinstitut Betriebliche Bildung (f-bb), Nürnberg.